If you read my last blog you’ll remember that my prayer was 2nd Corinthians 1:3-5. Not moments after I posted that did a woman approach me, and begin to talk to me. “I noticed you might be a Christian, and I was wondering if I could borrow your cell phone?” she asked. I was in shock for a moment, because I felt like God had put here there as a challenge to me. I replied with; “Of course”. She seemed quite desperate in her call to whoever she was talking with, I tried my best not to eavesdrop, however so I wasn’t sure what all was said. She handed back the phone and was very gracious. She began to explain that she was on her way to Fairbanks, where she was from. She left me with a “God bless you, sir”. Day 3 was a very interesting day. We began the day by heading to Nikiski, Alaska, where the Lighthouse Church is located. We will be playing worship there this Sunday, May 27th, 2012. We began to set up, and I went in the sound booth to boot everything up. Practice went fairly well. It wouldn’t be practice without a few snags along the way. 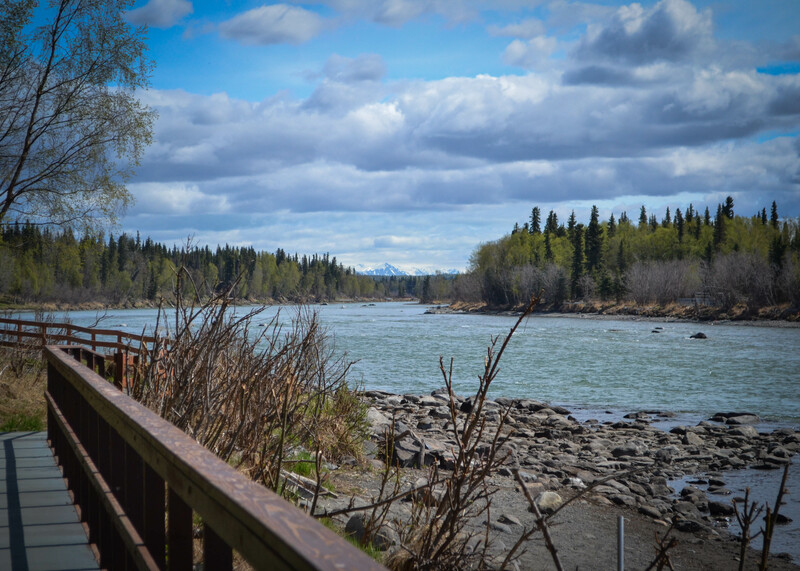 After we finished up in Nikiski we headed back to Soldotna. We had some Halibut for dinner, which is a local favorite in this region of Alaska. That night we had a few big discussions that led to a few toes getting stepped on. They were conversations that needed to happen, in order to continue moving forward with everything we were doing. Day 4 began with the rain pouring down on our windows, and we were some what trapped inside. We didn’t let this put a damper on our day however, we began to play a piano in the church here in Soldotna. We wrote a song titled; “Have a Good Time, Alaska”. The song was just for fun, and it really lifted our spirits. I look forward to a good group bible study tonight. As Christians we cannot understate the importance of reading the bible. It is our lifeblood, our holy shield against the devil. I am so blessed to have these men to call my friends. Their knowledge of God’s holy word is immaculate. We look forward to a blessed weekend, and you should too!